I was perusing my RSS Feeds this morning, and came across an article by Steve Jones (b|t) about Changing Times. In this post Steve talks about Microsoft not having any DBAs in their cloud team, and that it is all managed by DevOps folks. 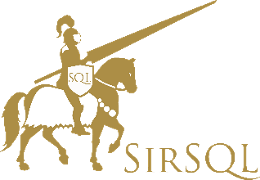 This message came from a talk that was given at SQLBits and summarized by Victoria Holt. Wow, this looks amazing, and really seems to ring the death knell for the DBA…or does it? Let’s consider what we are looking at here, and for the purposes of this, I am going to focus on Azure SQL Database (or whatever we’re calling it this week). There are 1.7 million production databases that do not have DBAs. Well, that’s flat out wrong, there might not be DBAs at Microsoft, but you can be pretty sure that there are DBAs out there managing a portion of those. I guess we should really focus on the Microsoft side of things. So there are 1.7 million databases, what is Microsoft’s role in these databases? Other than keeping up the infrastructure that the databases are based upon not much really. They have no posted performance metrics to which they must aspire. They are not going to be in the business of ensuring that your backups are taken, your HA requirements are based upon you setting up the services and regions correctly, and they don’t care how fast or slow your query is. There is an SLA for uptime, and don’t worry, if it gets below 99% you get a 25% discount. Given that there are no requirements to perform any work that a typical DBA would be required to do why would they need a DBA at all? They wouldn’t. It is this kind of information that makes people who work as DBAs question their existence and future, and frankly, there is no need to do that. As a DBA you will find that the cloud will become a significant part of your future (if it is not already), and your role will shift, but there will always be a place for the on-premises products (for as long as it is made), and that means DBAs to manage it. Heck if you want to see what the world without DBAs looks like just skim through dba.stackexchange sometime. I feel that a lot of messaging coming out of Microsoft puts a not insignificant level of fear into some people, as they attempt to set an example where the only people that really matter are developers, and developers sitting in a DevOps role. Is Microsoft going to change their tune around any of this? Nope, I don’t see that happening at any point. One thing you could question is, given that there are all these Azure databases that don’t have DBAs why is it that Microsoft has any DBAs working for them at all? Surely DevOps people would be all that they need.